The ‘Circle of Cricket’ Game is a one of its kind game for ardent cricket fans. TSD Corp, the company that owns and runs Circle of Cricket, introduced this game along with Moong Labs. "Owing to the massive layer of enthusiasm that blankets the entire nation over the India Pakistan match, we thoughtthis is the golden time that would make the game really big. 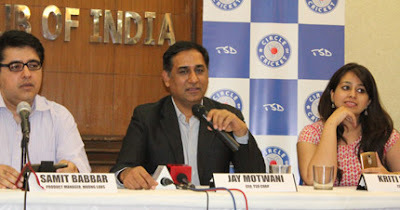 That is precisely why we have chosen the 17th of March to launch the COC game" said, Jay Motwani, CEO of TSD Corp.
"The game offers an immersive experience that takes you right into the cricket match. Realistic simulation and real time match commentary will make you experience, a cricket game on mobile like never seen before," expressed, Samit Babbar, Product Manager, Moong Labs. The game initially will have India and Pakistan as the default teams. This way every citizen gets to beat the team,that they are so passionate about beating. "The USP of the game is that it offers shots like Dilscoop, Upper cut, Helicopter shot and others and allows the player to choose his or her favourite shot to play. The objective is to give everyone in the nation the real feeling of being a Cricketer and be involved in the game than just watching it on the telly. Now they can contribute to the victory of their nation." said Mr. Pankaj Rahul Singh, COO, TSD Corp.
TSD Corp is a leader in Individual Digital Identity Management and a Specialist in Corporate. They help clients establish their brands on various social media platforms and enable them to interact directly with the customers. Company addresses the Social Media presence with professional Social Media Management team that comprises of experts in the field of Social Media Managers, Creative writers, Web designers and Developers, Analyst, Marketing and many more. This ensures an active, engaged and strong Digital presence. With over 100+ Million, they have a very Strong Online Community in the area of Cricket, Sports and Bollywood & Music. With a clientele like Ministry of External Affairs, Indian Diplomacy, International Day of Yoga (IDY), Air India, Delhi Daredevils, Kings XI Punjab, Rajasthan Royals, MS Dhoni, Virender Sehwag, Harbhajan Singh among others, TSD Corp has proved to be a successful start-up. The cliental of TSD Corp belongs to various sectors including Sports, Corporate and Government.